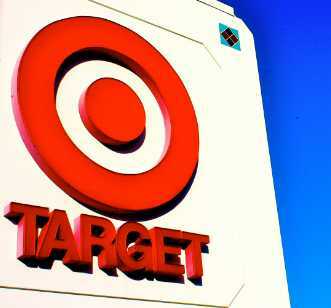 US retailer, Target, has, once again, hit the headlines for all the wrong reasons. In November 2013, hackers breached the Target network, stealing personal information for an estimated 100 million individuals. The breach could not have happened at a worse time! Consumer’s fearing further exposure shunned the retailer over the peak Christmas shopping period leading to a massive 46% drop in profit compared to 2012. As an early adopter of big data analytics, Target uses shopper’s behavior to promote related products and services. In a breach of privacy Target inadvertently exposed the pregnancy of a teenage girl by mailing her pregnancy related offers that were opened by her father. With increased knowledge comes increased responsibility. There is a fine line between marketing being brilliant, and marketing being creepy. Target may be a victim of their pioneering big data success. They are certainly not the first, nor the only, company to have suffered from these kind of issues. But they are also a victim of an increasing consumer resistance to the exploitation of their privacy. The wide spread consumer backlash against improper use of personal data lead to Privacy being granted word of the year status in 2013. It has also seen governments around the world act to regulate how company’s may use personal information – with legislation such as South Africa’s Protection of Personal Information (PoPI) bill becoming the norm. While many of these laws legislate significant penalties (including fines and potential jail time for responsible executives) many of these penalties pale into insignificance when compared to the over $400million loss in profits suffered by Target following this breach. Loss of reputation in this case is easy to quantify. Data governance should help to define not just how personal data will be capture, stored, protected and disposed of, but also how it will be appropriately used. From a marketing perspective, this may mean restricting how you use your insights around customers to ensure that ethical boundaries are not crossed. From an IT perspective it may mean redefining your procedures when faced with a potential breach. With the benefit of hindsight Target says they would have handled these issues differently. Data governance provides your framework for how you will deal with big data and privacy issues before they occur. Want more information on our data governance solutions? Ask us to contact you. ← Data governance. Is it like laundry day? To this question, I think DG is not just about Master data and hence do not think it should just be part of MDM tool. Introducing the issue of business ethics into discussions about analytics is something that we need to give significant consideration to. I’d say it’s incumbent on those of us who are leading the line on Information Management and Data Governance to take a proactive approach. To be fair, there’s also a lot of hot air talked about in relation to considerations of data privacy – I find that a lot of the time, it’s used as a convenient Bogeyman to ensure that new initiatives don’t progress!